If technology is your kind of thing, Tech Podcasts and shows are an excellent way of staying current with the newest products and developments. They are a useful tool for becoming an informed consumer – even if you've only got five minutes to spare. Whether you are interested in the newest, most exciting gadgets, or simply want to find out about the best laptop on the market, these Six Podcasts and shows offer something for everyone. 1) Tekzilla is a video podcast on the Revision3 network, with episodes out on Tuesdays and Thursdays. Veronica Belmont, Patrick Norton and Robert Heron review the newest products, talk to various experts, and provide tips and tricks so you can get the most out of your products. Viewers are encouraged to submit questions, making the podcast interactive while dealing with the demands and issues of real life users. 2) Top Shelf, hosted by David Pierce, is a new show from The Verge, airing every week. Its focus is on consumer electronics – it covers a wide range of topics, from reviews of the best smartphone camera to reports on Sony’s future, coverage of recent tech events, and interviews with prominent guests. 3) This Week in Tech (TWiT) is the TwiT network’s main show. It features discussions and debates about current technology news and products. Hosted by Leo Laporte, each program features different panelists who discuss their recent work and projects. The show is available in both video and audio format and has won several Podcast awards. 4) The Engadget Podcast, hosted by Tim Stevens and Brian Heater, is the technology blog’s podcast and provides tech fans with a weekly update on gadgets. The editors present and discuss the latest news, and review big brand products. 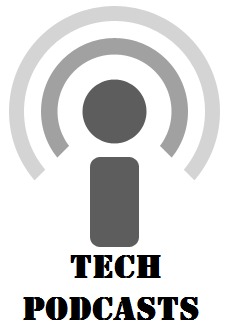 5) Tech5, presented by John C. Dvorak, is a daily podcast lasting five minutes only, designed to inform you of the most important tech news and trends while you’re drinking your morning coffee or brushing your teeth. Full of reports, analysis and interviews, it claims to make these the most important five minutes of your day. 6) The Wired Gadgetlab, one of the video podcasts on Wired.com, seeks to entertain viewers with info on all the newest gadgets – those products that you need to hear about including all the tech news about best gagdets, best smartphones, best laptop etc. available in the market. Not sure what to buy and how to invest your money wisely? Week-by-week, industry insiders and Wired staff alike, try to help make your decision easier.